I am interested on how you set this up with voxox. Also I tried setting up the voxox callback number through gvoice but the voxox number never rang. Moving to CHina and I could really use your expertise. Thank you. i ve signed up to voxox n gotta num..
You shouldn’t use Sipgate in this video if they are out of numbers! Thank you gigafide.Your chanel is awesome!!! does this work whith ipod touch to? and do you need a wifi connection to do this? 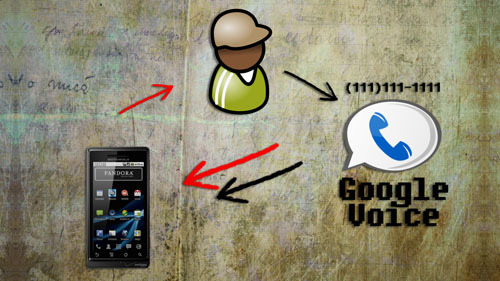 even if the secong leg of the call back is redirected for free ( though VOI by Sipgate back to your phone,) would Google call you back for free from any location abroad ??? my guess is it is like Skype : yo need to pay Google somehow. It might be cents only, but it is not free ! Wow I must confess you make some very tencrahnt points. Hey good tut! Just one question would you mind showing us exactly how to do it with voxox and ipkall since alot of us were unable to get a number with sipgate? Thanks bro for giving back to the community I ll try to do it myself when I get the Iphone. Great idea thanks a lot. hello as sipgate.com has stopped registration, i’v tried voxox but it’s not working, is there any other sollution please? Thank you. Your Chanel is very nice!!! That is most interesting. But it is really involved. how to use with ipkall?? Pleas what should i do !!? ?